Morcoccan Cookies for ramadan and for special occasions. Mix the ground sesame with the flour and other dry ingredients in a large bowl. Add the remaining ingredients and mix with your hands to form a dough. 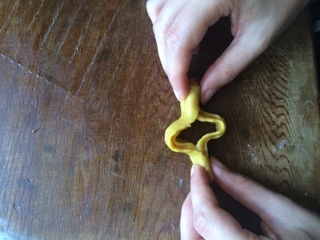 Add more flour if necessary to achieve a dough that is rather stiff but pliable. 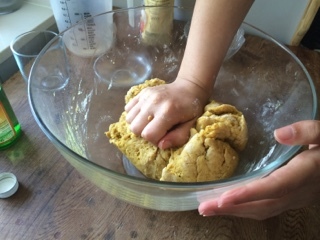 Knead the dough by hand for seven to eight minutes or in a mixer with dough hook for four to five minutes. 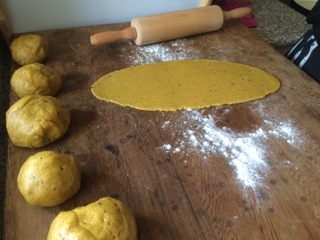 Divide the dough into six portions, shape each into a smooth mound, and place the dough in a plastic bag to rest for 10 to 15 minutes. 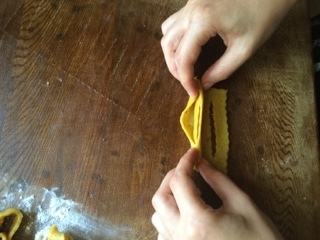 Take one of the portions of dough, and roll it out to the thickness of a thin piece of cardboard. Lightly flour your work surface if necessary. 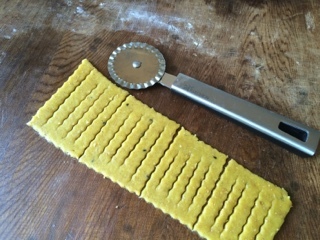 Use a pastry cutter to cut the dough into rectangles approximately the size of your palm. Make four evenly spaced cuts lengthwise in each rectangle. 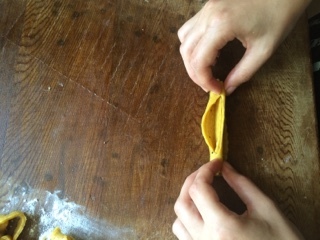 Place the folded piece of dough on a baking sheet or tray. 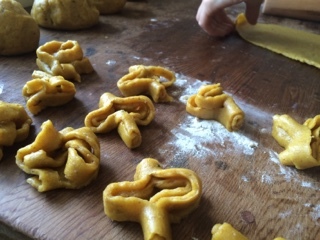 Repeat the process with the remaining rectangles and mounds of dough. 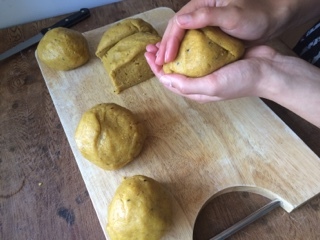 Gather together the scraps of dough as you work, mold them together into a mound, and return them to the bag to rest before you try rolling them out again. the orange flower water to the honey and turn off the heat. When the oil is hot, cook the chebakia in batches. 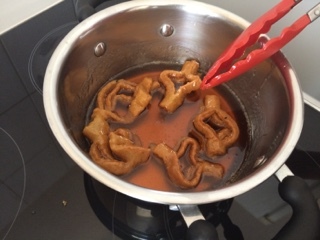 Adjust the heat as necessary to slowly fry each batch of chebakia to a medium brown color. This should take about 10 minutes if the oil is the correct temperature. If the oil is too hot, the chebakia will color quickly but the insides will not be cooked crispy. 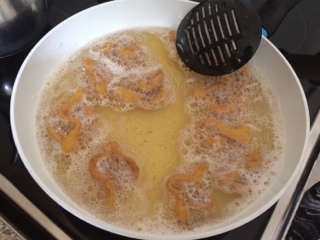 When the chebakia are cooked to a medium golden brown, use a slotted spoon or strainer to transfer them from the oil directly to the hot honey. 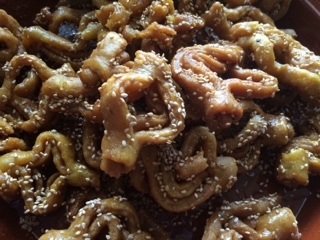 Gently push down on the chebakia to submerge them in the honey, and allow them to soak for 5 to 7 minutes. They'll turn a rich, glossy amber color as they absorb the honey. In the meantime, you can begin frying another batch of cookies. 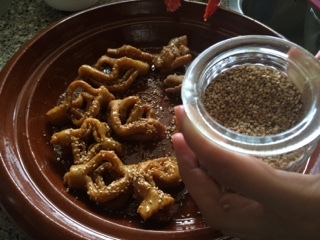 When the chebakia have finished soaking, remove them from the honey to a strainer or colander, and allow them to drain for only a few minutes. 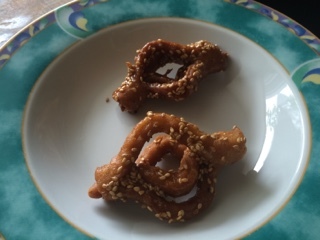 Gently transfer them while hot to a large platter or tray, and sprinkle the centers with sesame.